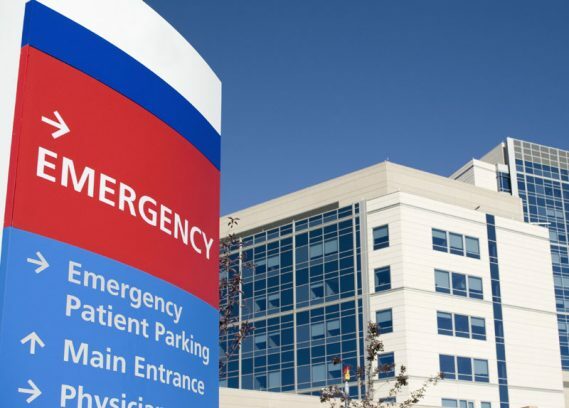 Given the busy nature of hospitals in California and around the country, it can be challenging for hospital directors and other decision makers to handle all concerns regarding their hospital’s parking facilities. But, fret not! Over the years, PCA Management has worked extensively alongside numerous hospitals and healthcare facilities in California in providing quality hospital parking management solutions. We are fully committed to providing you with excellent services, helping you establish significant relationships with patients, guests, employees, doctors, and nurses, among others. All our employees exhibit a pleasant and professional demeanor, making them perfect to station at the front door of your healthcare facility. You can trust that our team will leave a positive first impression on patients, their families, and all your guests. Our Customer Service Ambassadors undergo intensive training to address all concerns from patients and visitors. Whether you need to set up an information desk in the lobby or need an ambassador to check on patients, our specialists are perfect for the job. Parking situations can get hectic around healthcare services at times. We can set up a valet parking service in your hospital for you or take over your existing valet parking service. Either way, you can trust us to provide first-rate services that regulate traffic flow in your healthcare facilities. We can provide you with specialized staff to help you with all your parking management needs. Our team can help you implement changes and execute the most efficient and profitable way to manage your parking facility. Do you have an off-site parking area? We can provide you with shuttle services. Designate pick-up and drop-off points around the area of your healthcare facility. Our team can transport visitors and patients, as well as doctors and nurses, to and from these locations for their convenience. We offer services tailored based on the needs of each facility. The customized services we offer include but are not limited to valet parking, front door services, shuttle services, and parking management. We also provide all equipment necessary for a successful operation, such as signage, uniforms, safety cones, podiums, lock boxes, two-way radios, cellular communication, tickets, and insurance, among others. Aside from our clients’ satisfaction, we also make sure that our employees are well-compensated for their time and dedication. We provide the parking industry’s most comprehensive garage keepers and liability insurance along with the state required worker’s compensation coverage. All PCA Management employees undergo intensive training to provide the best possible customer service to every facility. PCA Management also requires extensive background checks on all staff, including Criminal, MVR, and Drug Screening. With Dedication, Integrity and an Uncompromising Commitment to Service, Parking Company of America (PCA) is recognized as a leader and innovator in the Parking, Transportation, Fleet Maintenance, Customer Service and Hospitality Industries.